The Toronto Blue Jays re-assigned a pair of second-generation players to their minor-league camp on Monday. 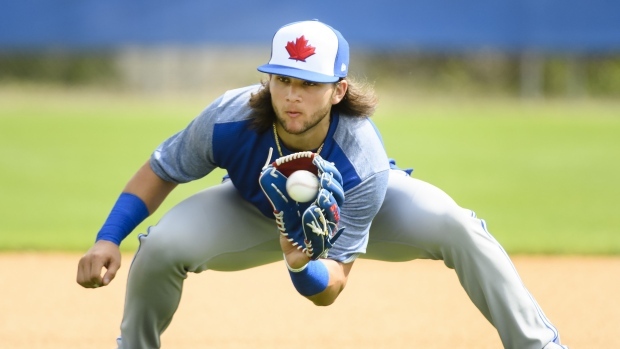 The team announced that infielders Bo Bichette and Cavan Biggio, along with lefty Shawn Morimando, have been demoted from big-league camp. In 36 at-bats this spring, Bichette, 20, hit .417 with four home runs, five runs batted in and an OPS of 1.308. Biggio, 23, batted .243 with two HR and seven RBI and an OPS of .750 in 37 AB. The club also announced that pitcher Mark Leiter Jr. will join the club's minor-league camp to begin rehab. He will miss the entire 2019 season after undergoing Tommy John surgery.